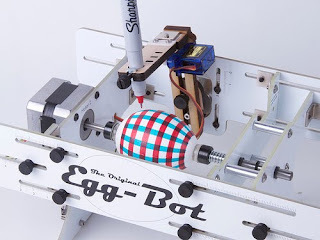 I stumbled across a kit from Evil Mad Scientist Laboratories that they put together to draw on eggs (or other spherical surfaces) that they cleverly call The Egg-Bot Kit. Now I don't know many people who have many reasons to make sure that their Easter Eggs are this perfectly printed on, but I dig where they are going. You can probably think of it as somewhere between a funky CNC and a mutant plotter. Evil Mad Scientist does tend toward those amongst the internet that prefer Arduinos to Articulating Keyboard Trays, but this kit seems like a pretty straight forward take it out of the box, build it, plug it in and draw on eggs style kit. There are of course going to be some hardware hackers out there who are going to take this kit and turn it into some pretty amazing stuff. Evil Mad Scientist Laboratories does show a few cool designs they drew on eggs and Christmas ornaments and Light bulbs and their marker of choice is (and you can't blame them) Sharpie. Seeing as how they have done a number of demos at different gatherings I can only assume they have tried a number of different markers and decided that Sharpies are the best option in permanent marking on whatever odd spherical surface you have. 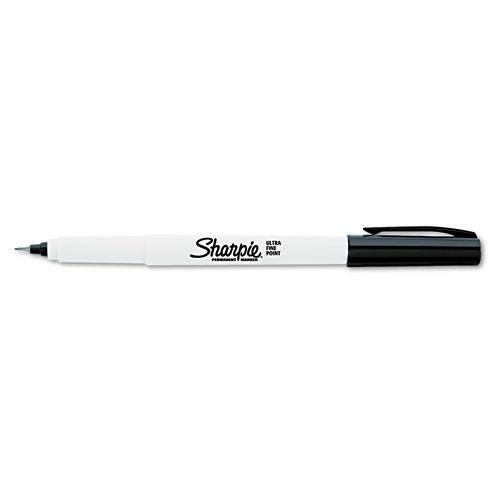 Weather it is glass or egg shell you know that your thin tipped Sharpie will do the job. The completed "eggssortment" shows a wide variety of colors, and it looks like they not only used the common Sharpie colors but went above and beyond the call of duty and started mixing colors as well. You can tell from the photos that the Markers are Sharpie Ultra Fine Point Permanent Markers, but sadly they didn't try the Extra Fine Industrial Sharpies just to see how well they'd hold up. Sharpie does of course make a some metallic extra fine markers if you want a bolder metallic stroke. So if you are lucky enough to be picking up an Egg-Bot why not pick up a variety pack of Ultra Fine Point Sharpies to go with it. 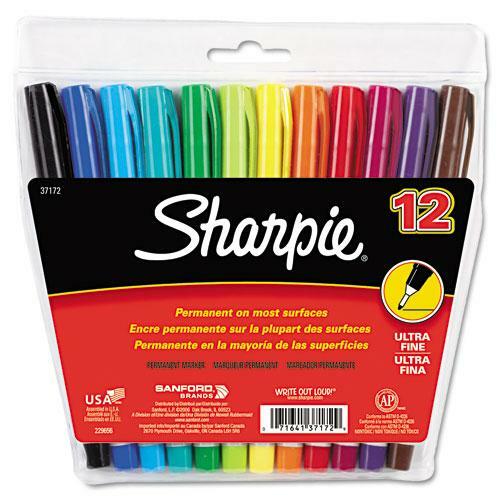 It is the egg drawing marker of choice for mad scientists.